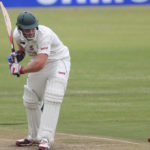 Simon Harmer scored 64 to take the Warriors from 159-7 to 244-7 on day two of their Sunfoil match against the Knights on Friday. The Titans aim for top spot with a victory over the Cobras in thier round eight Sunfoil Series clash starting on Thursday in Centurion. 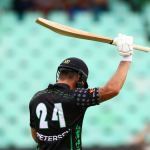 Fifties from Richard Levi and Dane Vilas handed the Cobras a seven-wicket victory over the Dolphins, despite 79 from Kevin Pietersen. Mark Boucher’s unbeaten Titans are in a ‘good mental space’ and are on course to defending their T20 Challenge title. 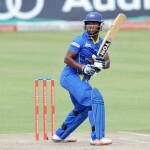 The Lions have acquired the services of Omphile Ramela on loan from the Cobras for the T20 Challenge. 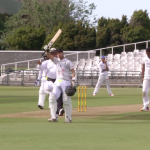 A superb maiden double-century from Justin Ontong allowed the Cobras to close in on the Dolphins’ 478 in Paarl. 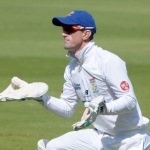 Just 14 wickets fell across the four days at Newlands, as the Cape Cobras ended their Sunfoil Series losing streak with a draw against the Warriors. 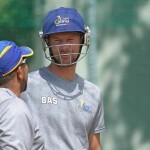 Cape Cobras coach Paul Adams has called on his senior players to offer support to his youngsters ahead of today’s clash against the Warriors at Newlands. 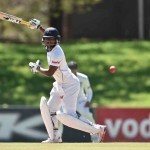 Two teams who are lagging behind need to step up in this week’s Sunfoil Series matches, starting Thursday.